Outdoor Play Archives - Adventure, baby! 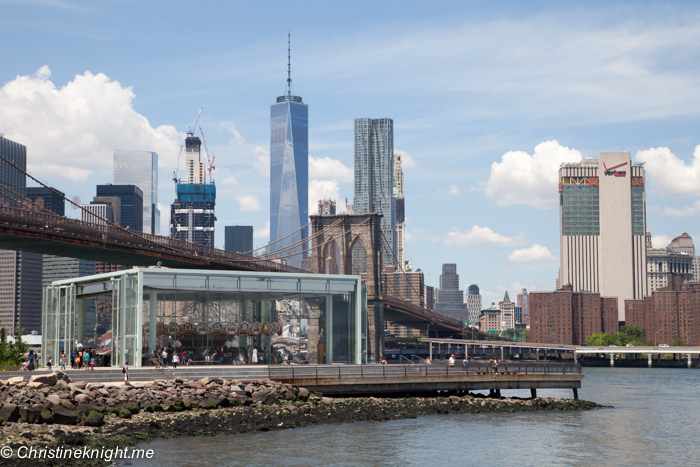 The Brooklyn Bridge joins Manhattan to Brooklyn, spanning the East River. Since its completion in 1883, the bridge has become one of the city’s most famous icons. 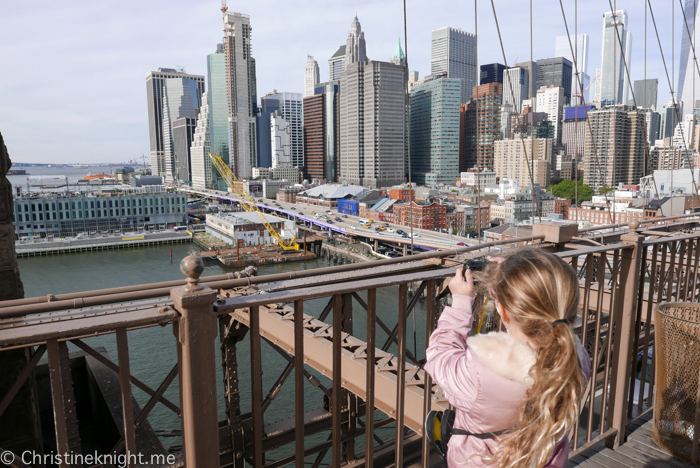 Walking across the Brooklyn Bridge is one of the best ways to explore the city’s neighbourhoods and experience breathtaking views along the way. The bridge is open 24 hours a day and is safe to cross even late at night. It is however a major tourist attraction and by midday can be jam-packed with people. 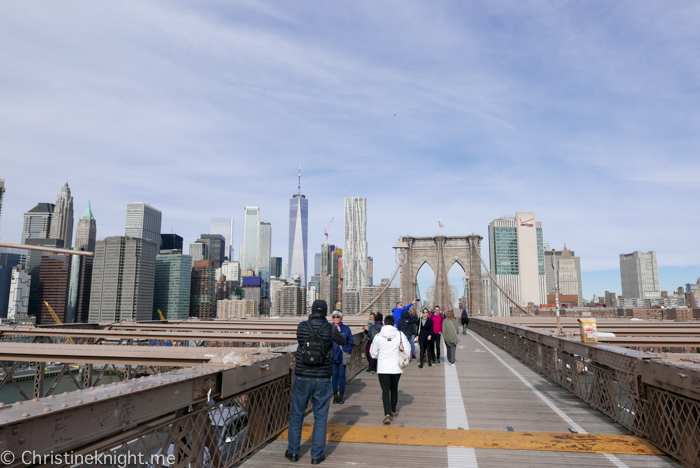 I suggest crossing the bridge early in the morning to avoid large crowds. It can get breezy on the bridge so bring an extra layer. 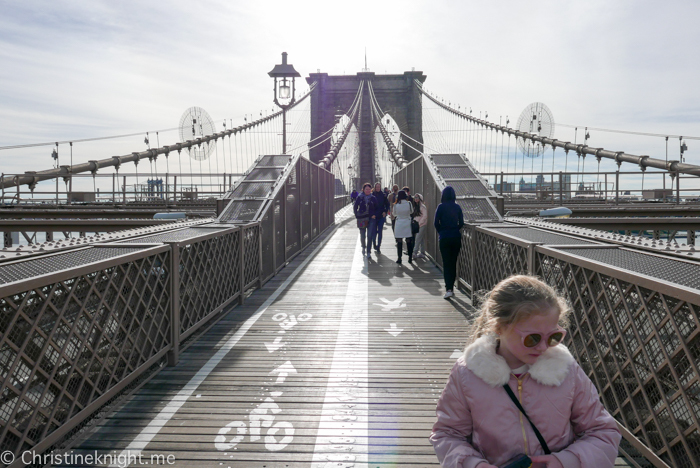 The Brooklyn Bridge Pedestrian Walkway and Bicycle Lane start at the intersection of Tillary Street and Adams Street. The road is busy so keep a hold of small children when crossing. 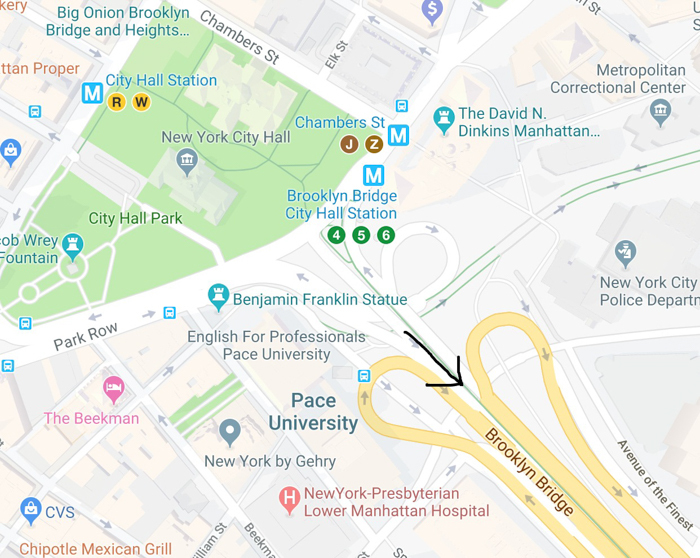 The closet subway stops are A, C or F to Jay Street/MetroTech Station, N, R to Court Street Station, 2/3 or 4/5 to Borough Hall Station. 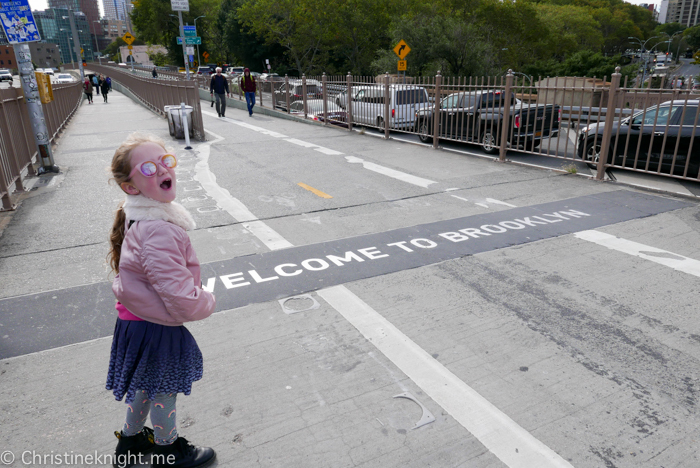 This entrance is completely accessible and suitable for strollers, wheelchairs and bikes. There is another entrance closer to the foreshore which includes several stairs. To reach this entrance, catch the A or C to High Street. Walk across the large when exiting the station to reach the underpass. On the left side of the street are a set of stairs built into the bridge. They can be tricky to spot. Keep in the pedestrian lane and watch for bikes. 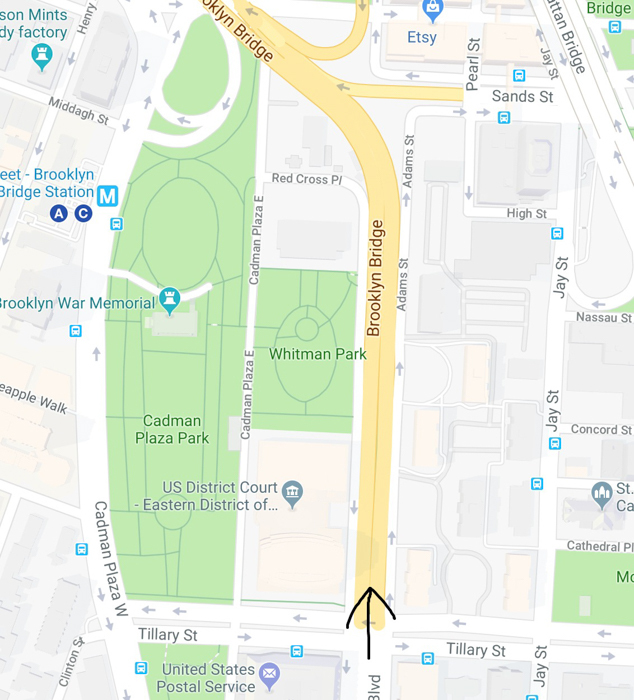 The pedestrian lane is narrow and if there are people who have stopped you will have to walk around them by walking across the bike lane. Be careful as you do as cyclists go extremely fast. 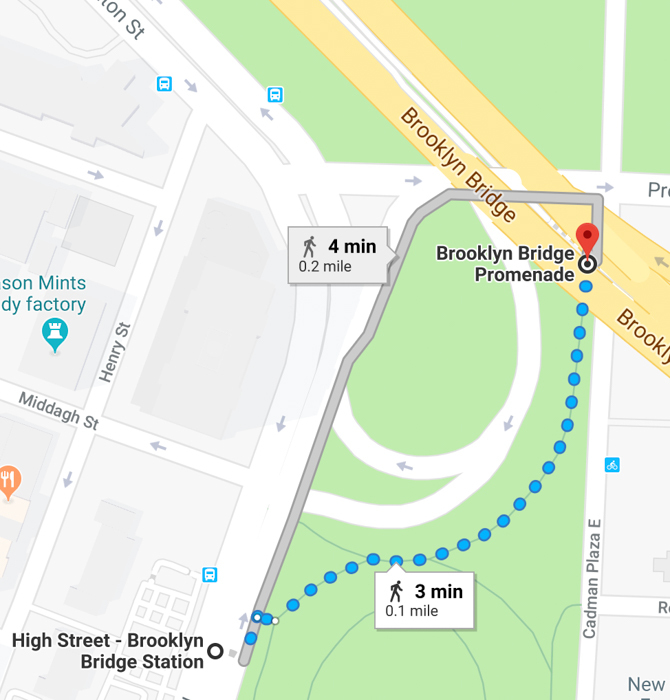 The Brooklyn Bridge is slightly over 1.1miles or 1.8 km long. It takes an average of 30 minutes to cross. 45-60 if you stop to admire the view or take lots of photos. 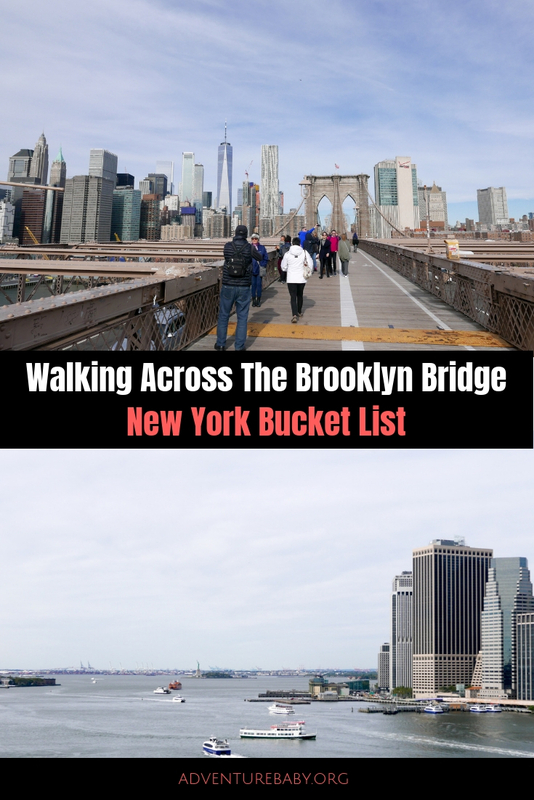 Enjoy seeing the sights in Brooklyn! 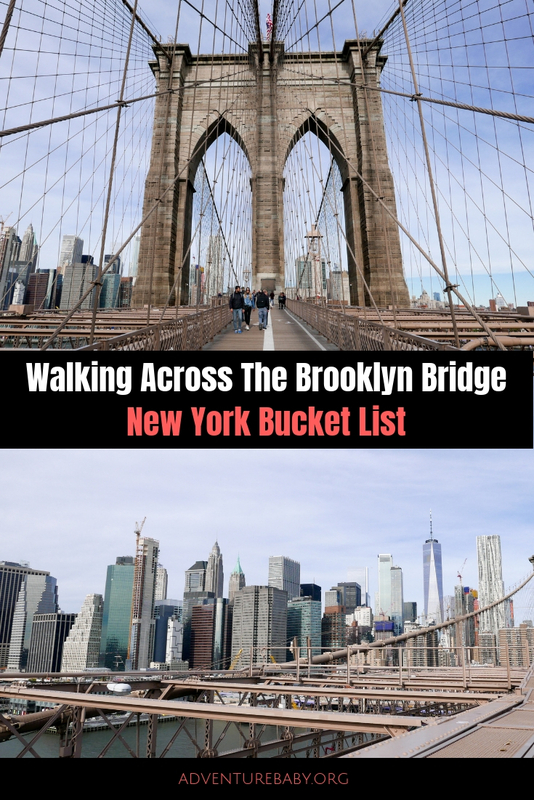 When you reach Brooklyn, enjoy our favourite neighbourhood with this guide of our fave places in DUMBO. 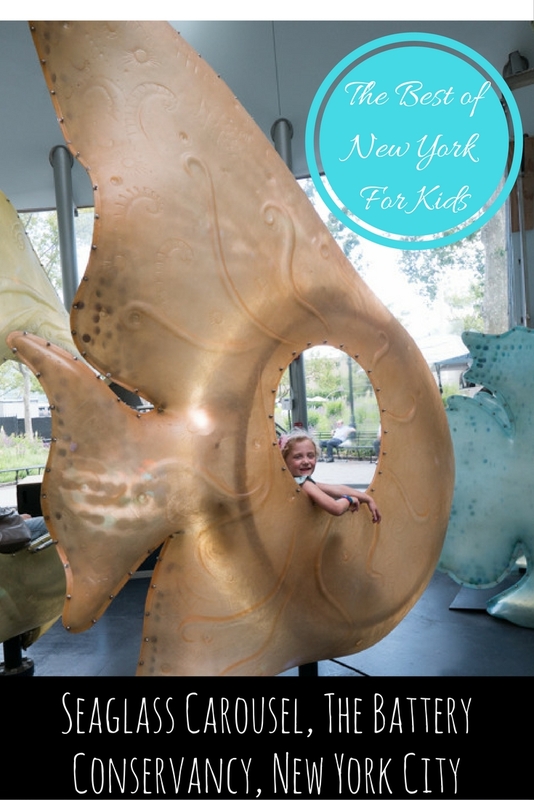 New York has no shortage of carousels, but its newest is pretty special. 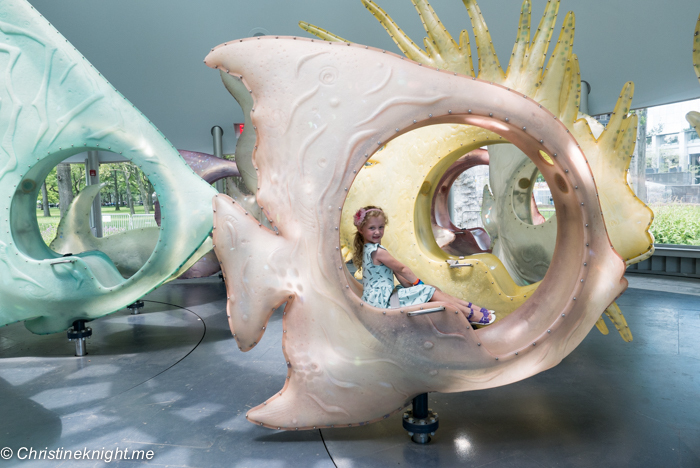 The SeaGlass Carousel opened in Lower Manhattan in August 2015, a stunning underwater garden filled with a pastel sea of fish. The Battery was the first home of the New York Aquarium, which opened in 1896 in what is now Castle Clinton. The aquarium closed in 1941 and is now located at Coney Island, gone from Battery Park but not forgotten. 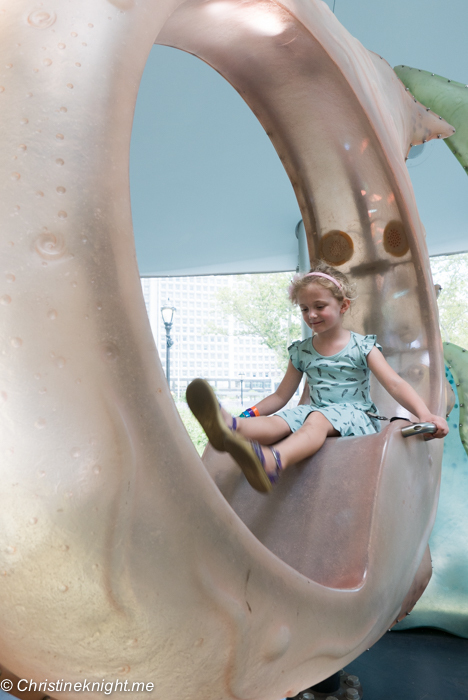 The brand new carousel pays homage to the original home of the aquarium with a mystical display of light, colour and music. 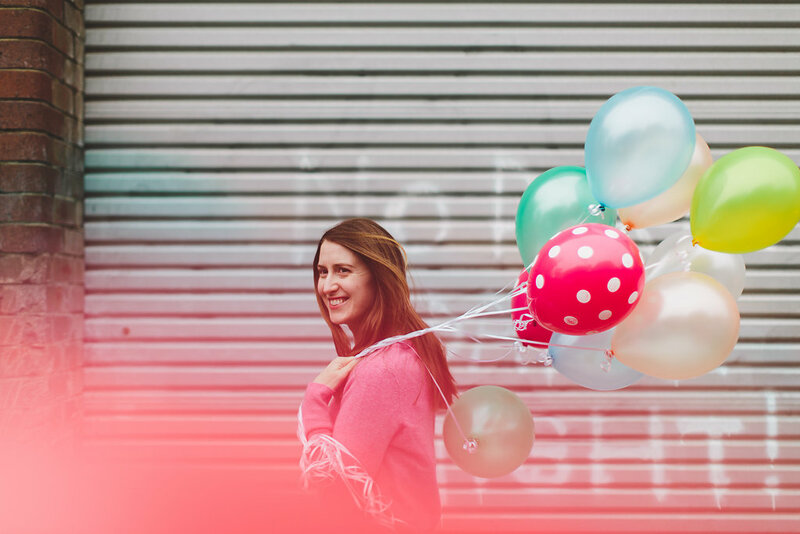 Put simply, a ride on the carousel is like swimming in an acid dream. 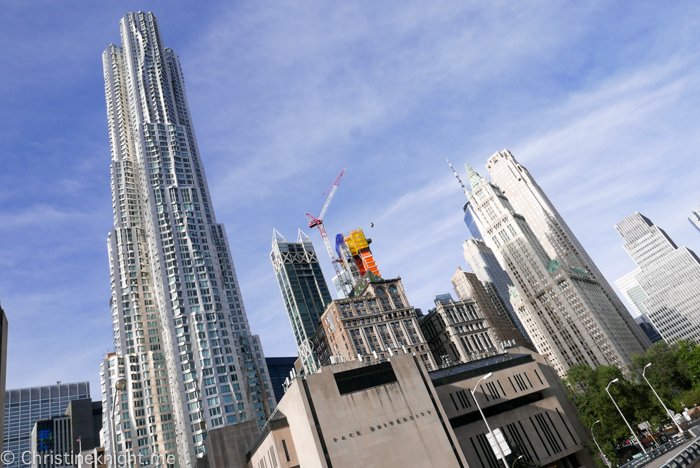 SeaGlass came to life through the genius design by wxy architecture. 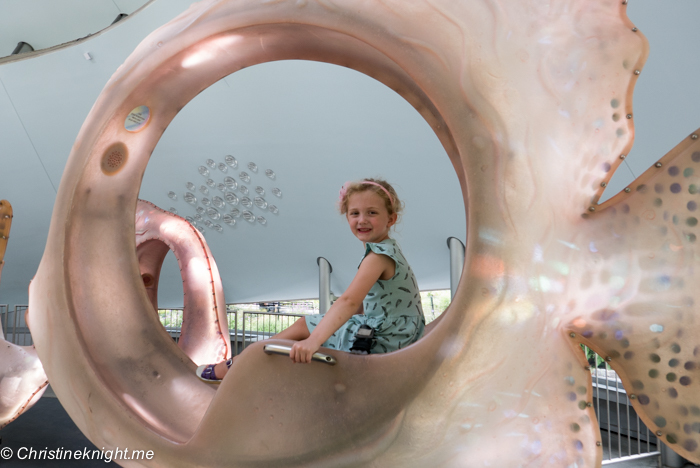 The 2.575 square foot spiraling pavilion, inspired by the chambered nautilus, rises out of The Battery’s gardens like a glowing beacon, a siren song to children and adults alike. 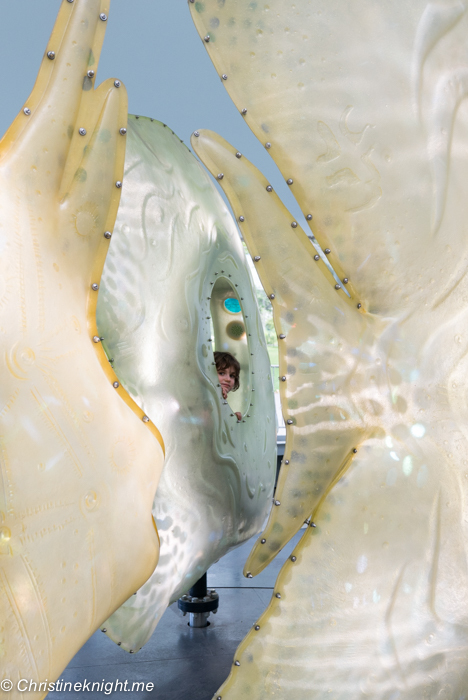 The George Tsypin Opera Factory created the unique underwater experience where a rider sits inside one of 30 massive fibreglass, iridescent fish, and glides in patterns on a 360° aquatic adventure. SeaGlass is unlike most carousels in that it doesn’t have a centre pole. Instead, the fish sit on four turntables that are driven by electric motors under the floor. The underwater atmosphere is a result of the combination of LED colour-changing lighting in the fish, and light projectors that hang from the ceiling to create a “water effect”. Of course, the kids we took on the carousel noticed none of these details. 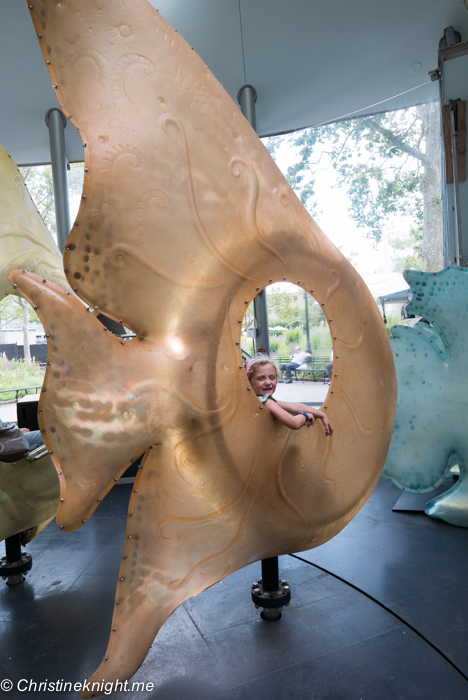 They saw only the sum of its parts – a magical underwater ride on glowing fish. “Can we go again? And again, and again?” Yes kids, you certainly can. All children under 42 inches tall must ride on an adult’s lap, with only one child per lap. Both children and accompanying parents must have a ticket. Children under 12 months old may ride for free. Dogs must be leashed in the park, and are not allowed in the pavilion or on the ride. Strollers must be left outside the pavilion. To enter the pavilion where the carousel is housed, you must buy a ticket, even if you don’t intend to ride. Nestled in beautiful Prospect Park is the sweet little Prospect Park Zoo. 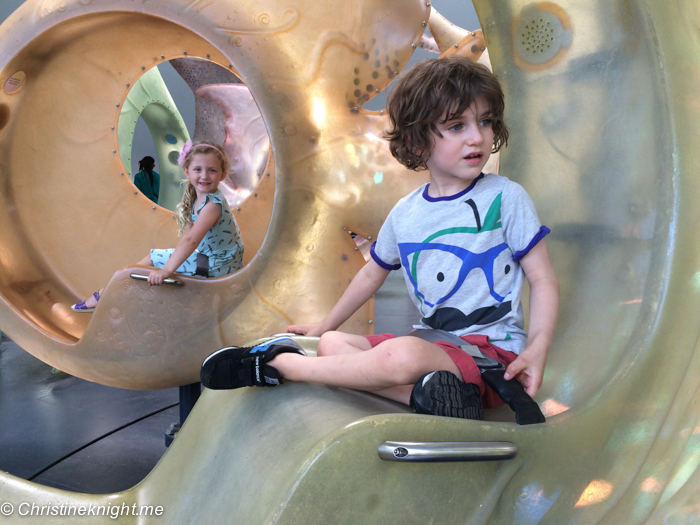 It’s a tiny zoo – perfect for people like us with a toddler. We saw everything in an hour and 20 minutes with our 19-month-old walking everywhere herself. 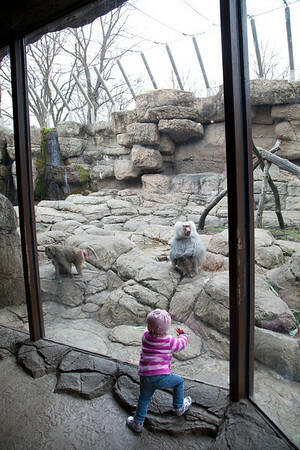 I don’t like zoos much – I usually find them a bit depressing. The Prospect Park Zoo, however, is filled with well cared for animals and exhibits. 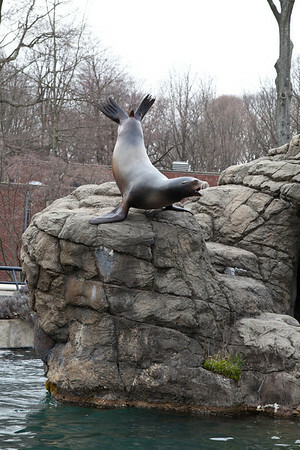 Sea lion, Prospect Park Zoo. Miss Cheese’s favourite animals of the day were the sea lions, whose exhibit is smack in the middle of the zoo. Make sure you catch the daily sea lion feedings at 11:30am, 2pm and 4pm, to get a really good look at the sea lions performing their natural behaviours with some help from the keepers. Kids of all ages (including us!) will love feeding the animals in the barn area of the zoo. Cows, goats, sheep, alpacas and chickens are housed in barn-like pens, with slats and holes in some of the fences so you can feed them the designated food. Watch out for the goats and sheep – they are so used to being fed that they climb up onto the fences and reach their long necks over for better access to food – funny for us, but a bit scary for little toddlers. They’re super gentle and tame though, and Cheese had no problem feeding them with animal kibble straight from her little hand. 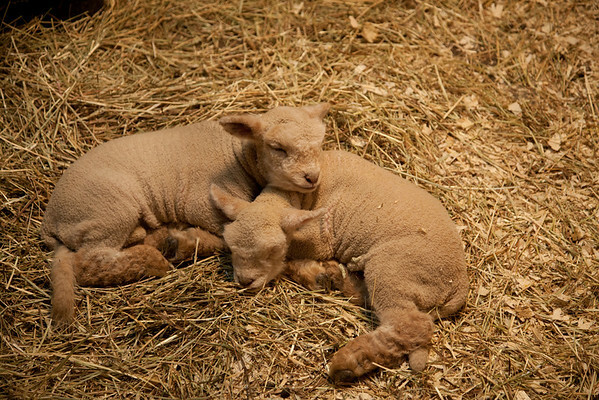 The best bit: baby lambs, just two weeks old. Squeee!! The other highlights for us were the baboons, housed in a large enclosure adjoining one of the visitors centers, with floor to ceiling glass, and the Discovery Trail, a winding path through gardens and scrub lands, with animal exhibits like prairie dogs and red pandas. Cheese particularly loved the ducks, including eating the duck kibble instead of feeding it to the actual ducks. 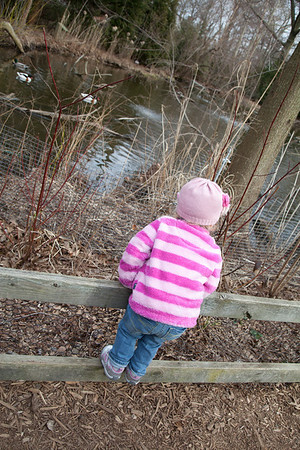 Cheese watching the ducks, Prospect Park Zoo. What to eat: This is the sad part of our post. While the animals are well fed, the humans aren’t. There are a lot of outdoor picnic tables to sit at, but inside the cafeteria lies only vending machines. 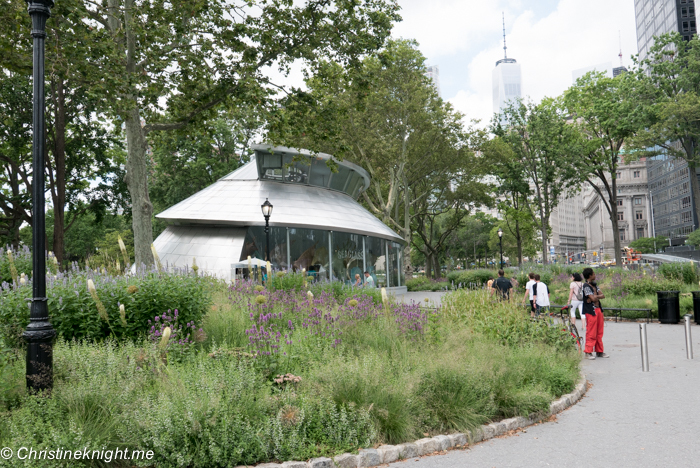 We highly recommend you bring your own lunch, or leave the park and eat at a nearby cafe or restaurant. 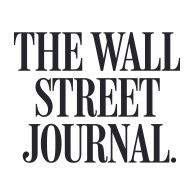 Check out our personal fave in Prospect Heights, Gueros, or download this guide to eating in Prospect Heights for a larger directory of places to eat. Hours: Spring/summer (Mar 23–Nov 3, 2013) Mon-Fri 10am-5:30pm, Sat-Sun 10am-5:30pm.